Over 2,500 years ago, a man who had been searching for the truth for many, many lifetimes came to a quiet place in northern India and sat down under a tree. He continued to sit under the tree, with immense resolve, and vowed not to get up until he had found the truth. At dusk, it is said, he conquered all the dark forces of delusion; and early the next morning, as the star Venus broke in the dawn sky, the man was rewarded for his age-long patience, discipline, and flawless concentration by achieving the final goal of human existence, enlightenment. This man became known as the Buddha. Buddha Shakyamuni, the Indian prince Gautama Siddhartha, attained enlightenment in the sixth century BCE. He taught the spiritual path known today as Buddhism. Buddha, however, also has a much deeper meaning. It means anyone who has completely awakened from ignorance and opened to his or her vast potential for wisdom. A buddha is one who has brought a final end to suffering and frustration, and discovered a lasting happiness and peace. During the Buddha’s lifetime, the influence of his teachings was confined to a relatively small area in northeast India. In the centuries after his enlightenment, however, Buddhism spread throughout the whole of the East. The lineage of the teachings of the Buddha in India, prior to their introduction into Tibet. Read more in 'The Buddhist Traditions of Tibet' booklet available for purchase from ZAM Rigpa Shop. After the Buddha passed away over 2,500 years ago, his teachings spread throughout Asia and were established in Tibet in the eighth century. Buddhism developed in different ways according to the culture of each country, but the essence and core principles of the Buddha’s teachings are the same throughout the world. Padmasambhava or ‘Guru Rinpoche’, the ‘Precious Master’, as he is affectionately known by the Tibetan people, is the great master and saint who brought the teaching of Buddha to Tibet in the eighth century. Guru Rinpoche established the first Buddhist monastery in Tibet at Samyé, and infused his blessing into the whole landscape of Tibet and the Himalayas. He is considered by Tibetans to be the ‘Second Buddha'. It is to his compassion, his blessing and his all-encompassing vision that Tibetan Buddhism owes its dynamism, vitality and success. For the people of Tibet, the teaching of Buddha pervades the very fabric of their existence, every facet of their everyday life and culture, almost like the very air they breathe. Therein lies the strength of the Buddhist tradition of Tibet, and also the reason why Tibet has for so long held a place in popular imagination as the spiritual ‘heartland’ of the planet. In Tibet, 1,200 years of history were devoted almost exclusively to the training of the heart and mind through spiritual practice. While the West gradually mastered the outer world through science and technology, in the laboratories that were the monasteries and hermitages of the Himalayas, Tibet perfected the ‘inner sciences’ of the mind, every bit as precise and rigorous as the methodology of science. In recent years, these two traditions have come together to yield important research on the benefits of practising meditation and compassion, and to develop ways in which these practical tools can be applied in medicine and psychology, education and other fields. The Nyingma, or Ancient school of Tibetan Buddhism is the name given to the followers of the original translations of the teachings of the Buddha into Tibetan which were carried out up until the time of the Indian translator Smrtijñanakirti in the late tenth century. They are known as the ‘Earlier Translation School', Ngagyur Nyingma, distinguishing them from the ‘New Schools’, Sarma, such as the Kadam, Kagyü, Sakya, and eventually Geluk, which followed the later translations made from the time of the great translator Rinchen Zangpo (958-1055) onwards. 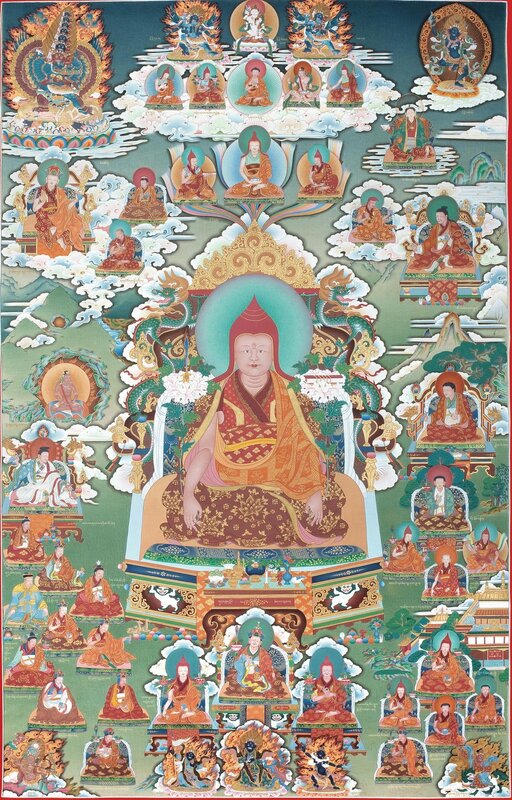 The Longchen Nyingtik is a Nyingma cycle of teachings and practice, which was discovered by Jikmé Lingpa as mind terma. 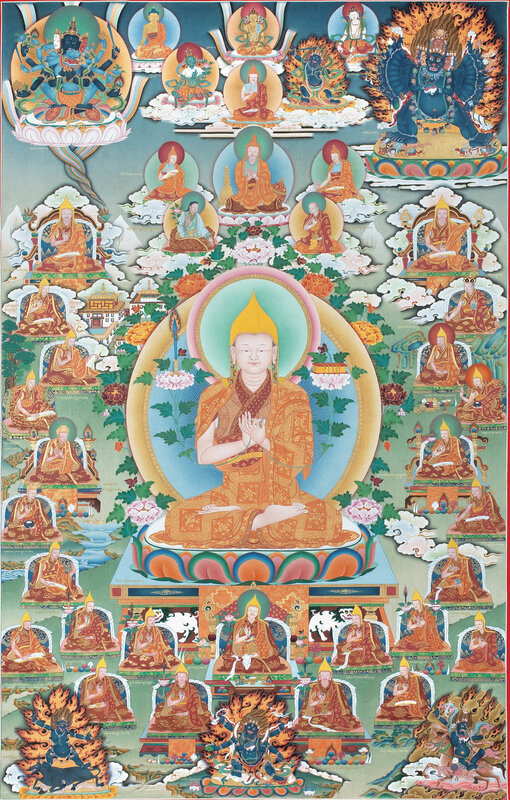 The Longchen Nyingtik terma consists of tantric sadhanas and teachings. In the Longchen Nyingtik tradition, the preliminary (or ngöndro) practices are commonly referred to as the Longchen Nyingtik Ngöndro. After completing the ngondro, training in the development and completion stages is done through sadhana practices such as Rigdzin Dupa. Traditionally, a student trains in a series of three sadhanas known as the Three Roots. Today, more and more people around the world are recognising the tremendous gift that Buddhism has to offer, one offered with no notion of conversion or exclusivity, and to people of any faith or none. These teachings hold the key to qualities that we urgently need today—the peace of mind to bring us inner strength, confidence and happiness, and the compassion and good heart to help us free ourselves from our destructive emotions. In a world racked by turmoil and mental suffering, the Buddhist teachings could not be more practical. They speak to us all, and any one of us can put them into action so as to live our lives with more wisdom and more compassion.